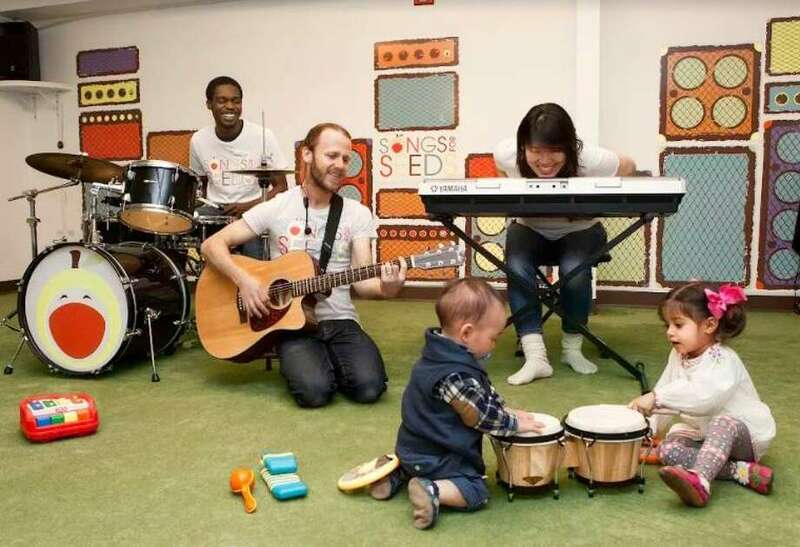 Songs For Seeds, a New York City franchise offering Mommy and Me music classes, is opening a location in Darien in September. DARIEN — A popular New York City franchise is coming to Darien after being met with overwhelming popularity in Greenwich. Songs For Seeds, a music program for infants to children age 6, is opening a branch in Darien out of the First Congregational Church on Brookside Road. Songs For Seeds came out of a larger NYC-based company, Apple seeds. The class started as the Apple seeds music program, but quickly took off and began franchising a few years ago. The first Connecticut franchise was opened in Greenwich last September by Courtney Karasin, who is opening the Darien branch this fall. Karasin, who used to work at MTV for eight years, was drawn to Songs For Seeds for its educational value for children. Songs for Seeds in Darien will be starting with a “demo week” of free classes starting on Sept. 6. The program operates on 12-week semesters with about eight to 10 class times per week. Songs For Seeds is a weekly, 45-minute interactive class allowing children to dance, sing and play along with a band. Each class features a guitarist, keyboarder and drummer who perform original music and cover songs. Different classes focus on different animals, sounds and countries. An open microphone and instrument playtime for children wraps up each session. Through playing with instruments and following the instructions of the class along with music, the children learn basic motor skills and hand-eye coordination. Andrew Busone, primarily a keyboardist and drummer for the Connecticut Songs For Seeds franchises, found the open nature of the classes appealing to join. He started performing and teaching with the Greenwich branch when it opened after being connected with Karasin through a high school classmate. “It really does serve that early childhood feeling that’s so hard to pick up on.” Busone said.